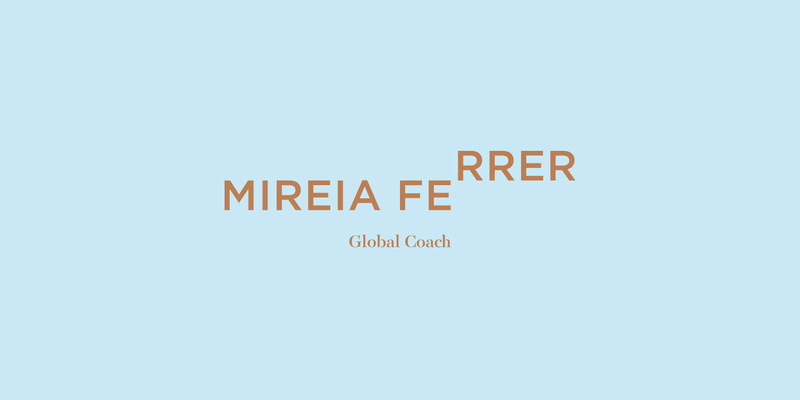 After a long and successful educational trajectory and a great career path, Mireia is now a life coach. 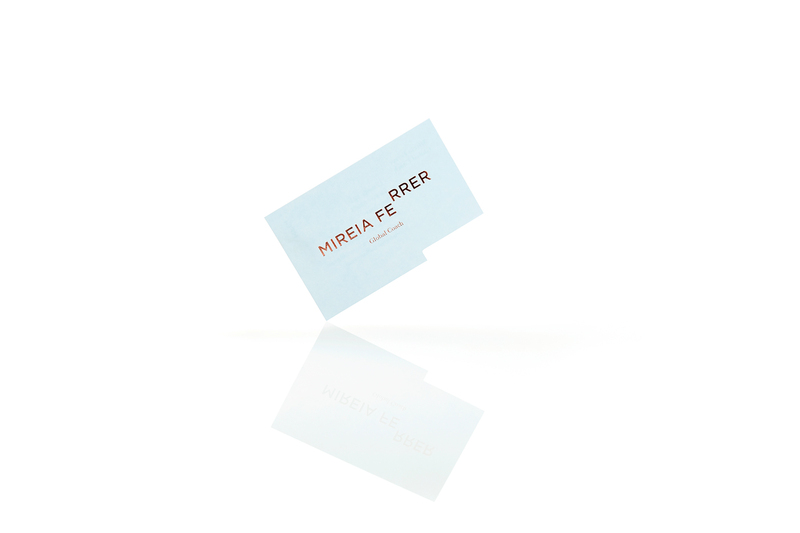 Her task consists of helping people to evolve positively and to forge ahead at all times, looking back only to continue moving forward. 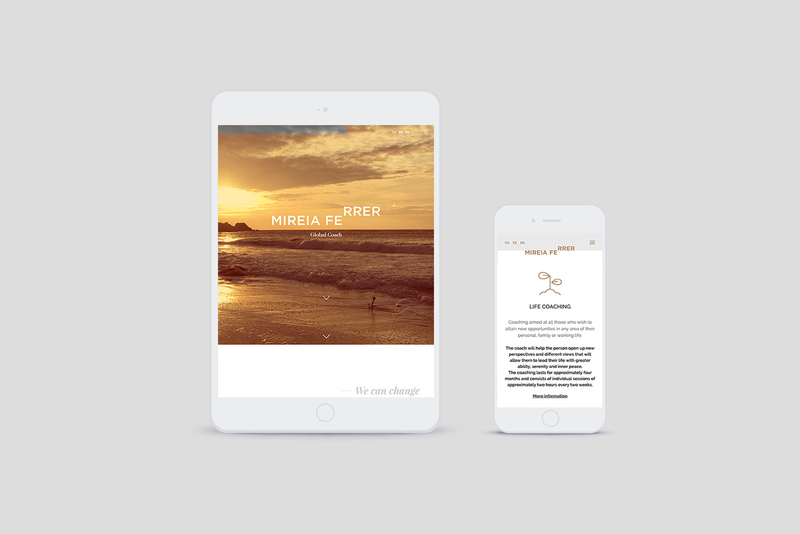 Using this clear objective, we have designed a brand full of personality and ambition in which the main concept of evolution is depicted in the graphics. 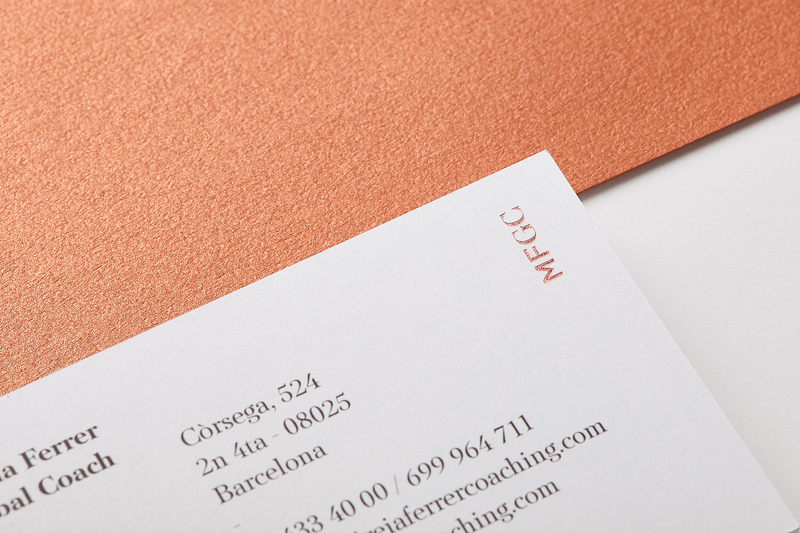 The life coach’s name is presented in the form of an ascending staircase to enhance the message. 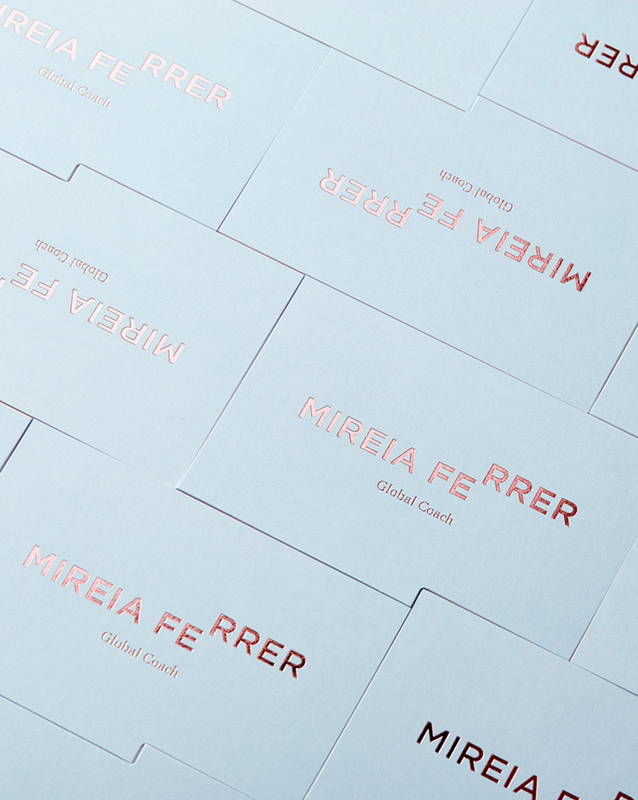 The logo typography is sans serif for its fresh, up-to-date connotations while the ‘Global Coach’ baseline in a serif font adds a touch of controlled elegance to the same brand. 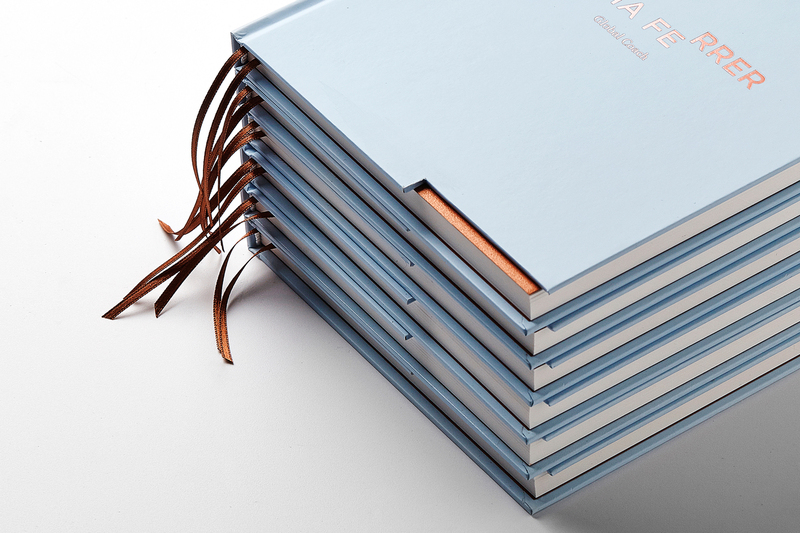 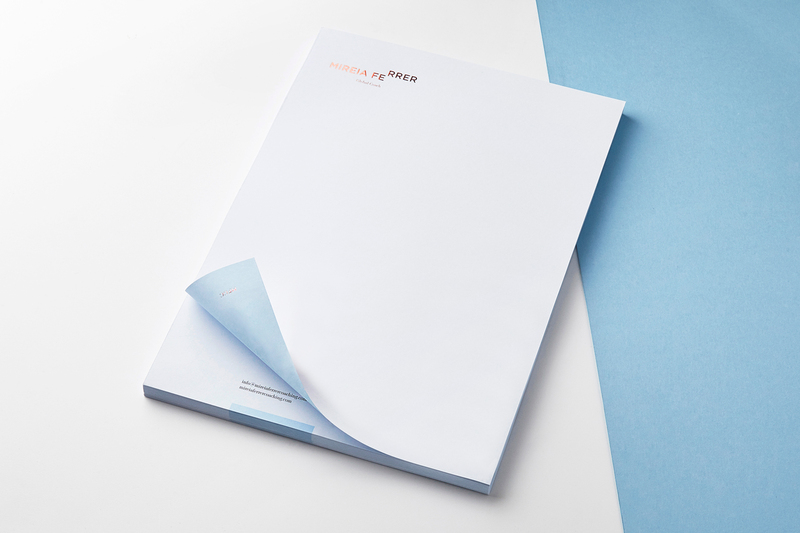 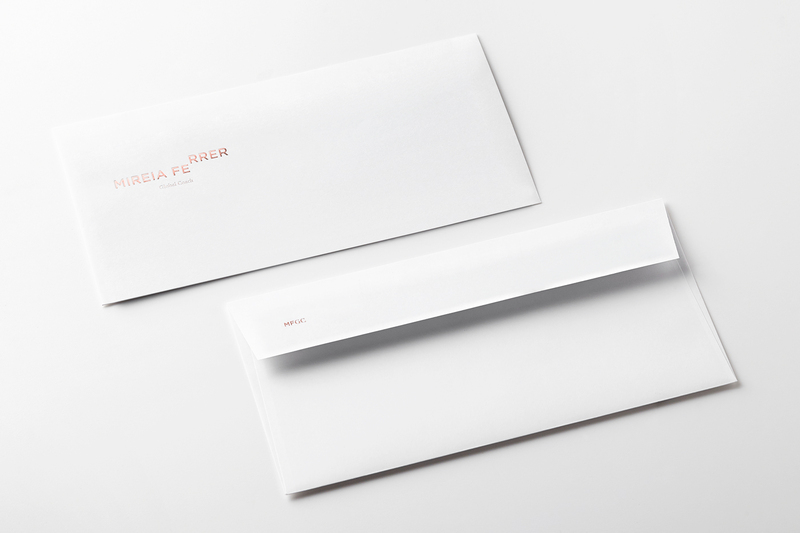 For the development of the different stationery, we have chosen a selection of colours and materials with specific intentions. 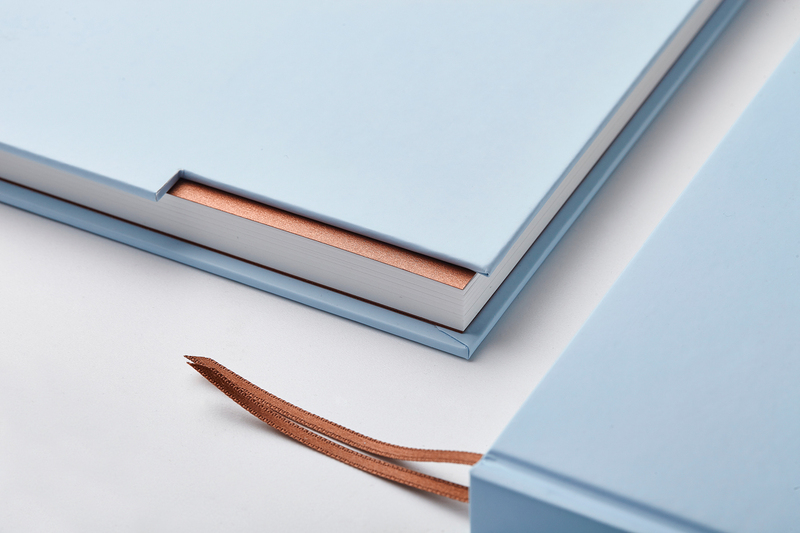 The bronze gives quality and respect to the brand with a hint of an institution in both the stamping and the paper, while the light blue transmits a friendlier, more tender feeling. 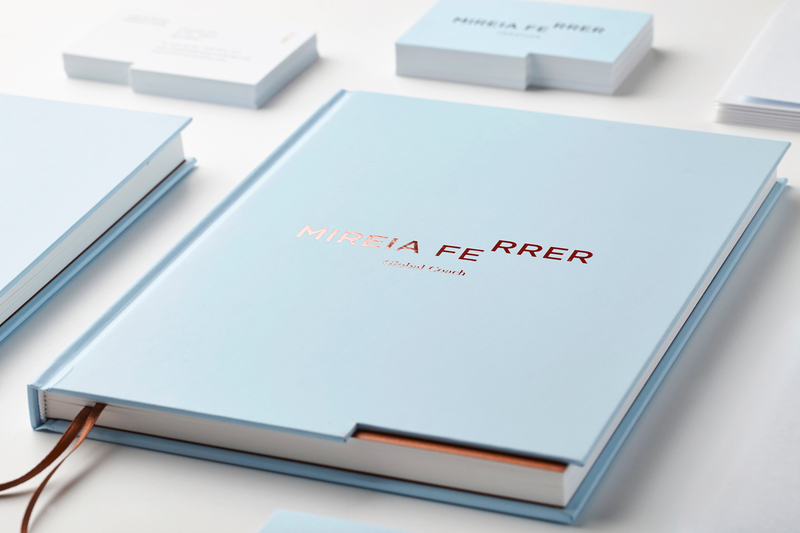 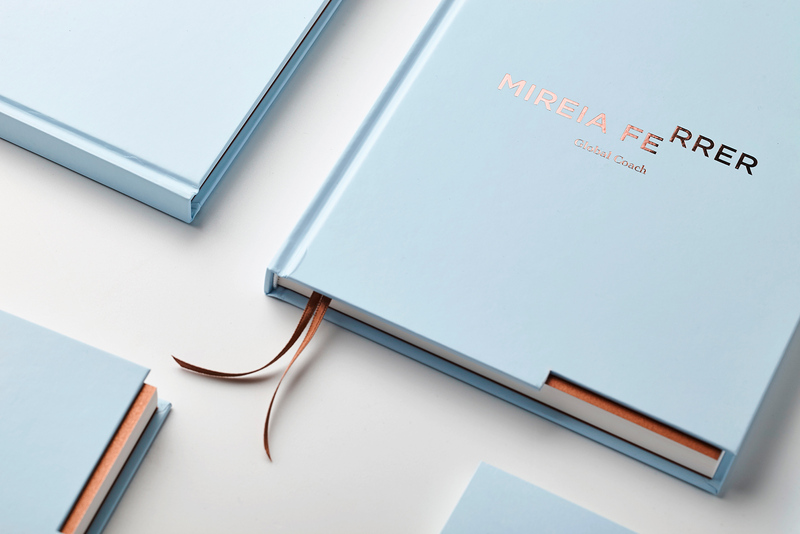 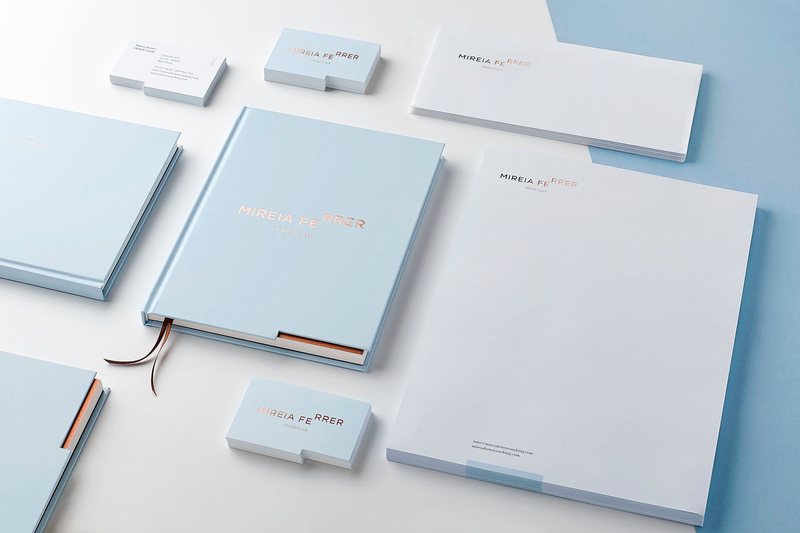 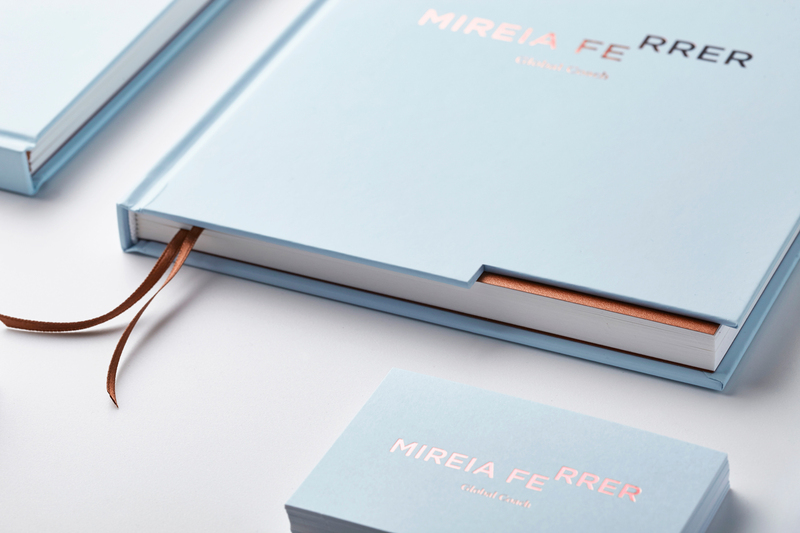 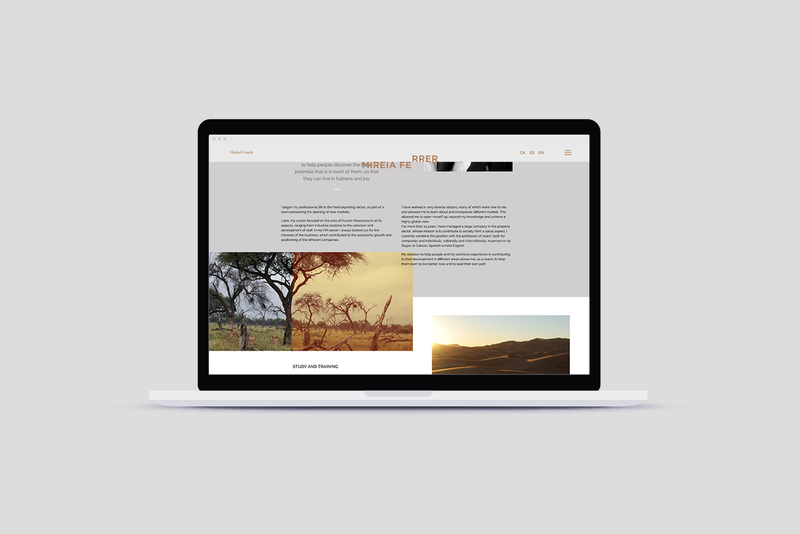 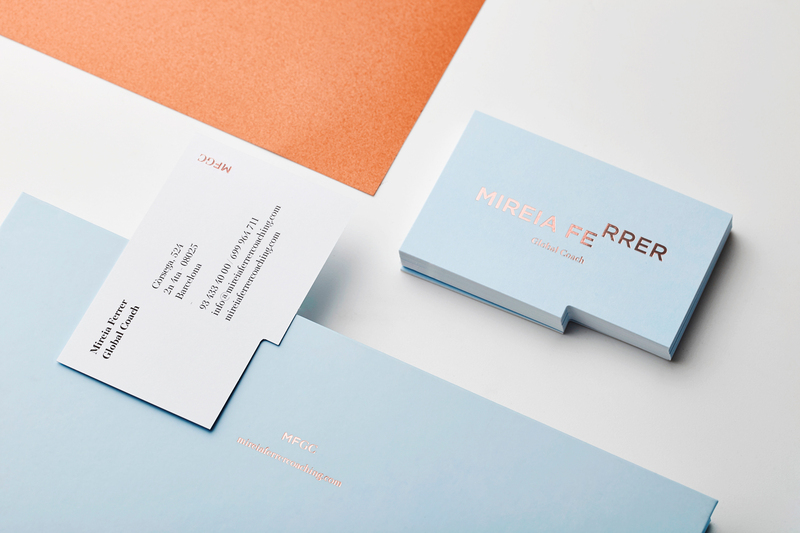 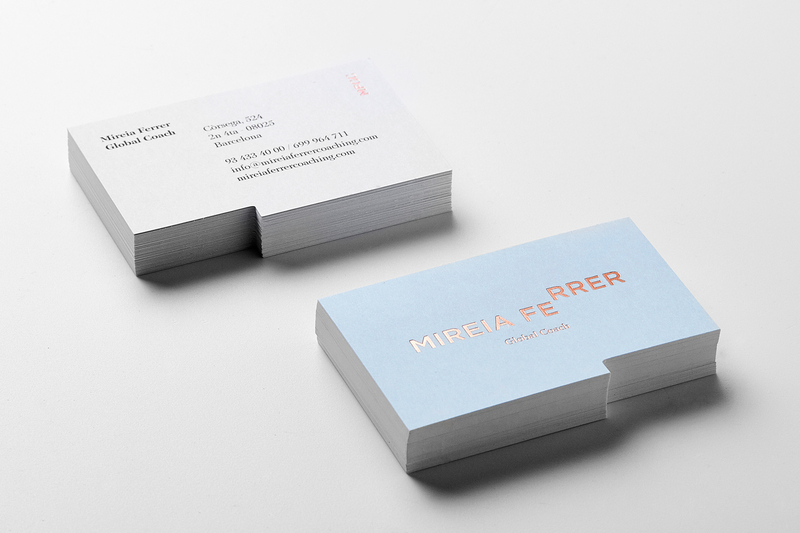 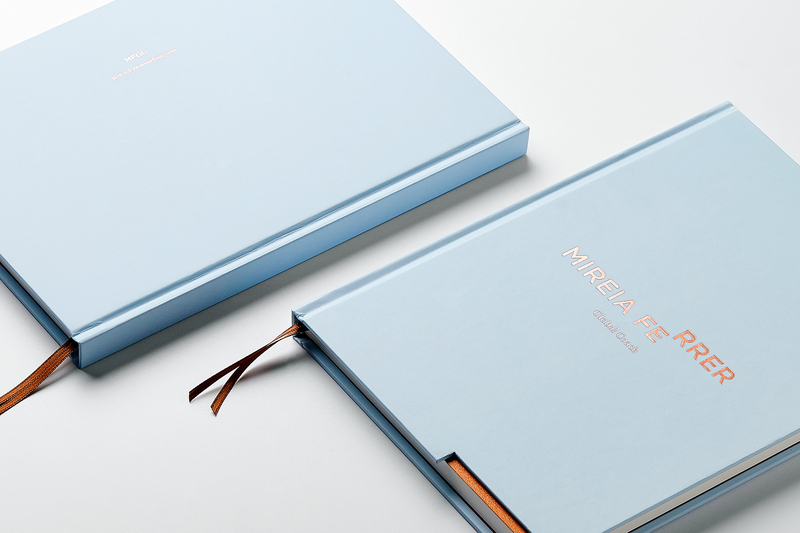 This duality of professionalism and proximity is a reflection of Mireia’s work.